Display pop-up Frames are incredibly easy to setup and require no tools. The frame is a lightweight satin aluminum construction. We supply the frame, the hook & loop material and the carrying bag. You supply the graphics. 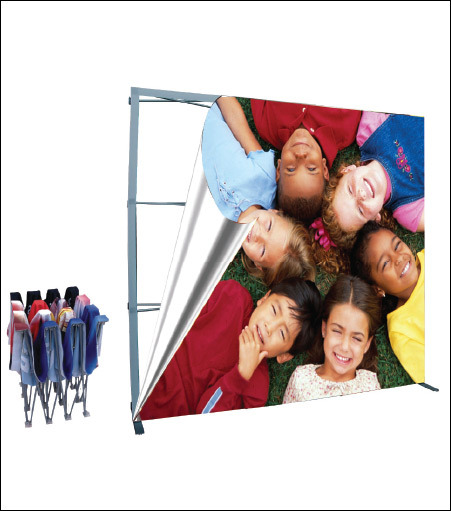 Your customer has an incredible affordable customized portable billboard.